Paisley’s bid for UK City of Culture 2021 has received a big boost from the bookies – with the town named among the favourites to win the contest. Global betting giants Ladbrokes this week released odds for the competition – with Paisley rated as 4/1 third-favourite of 10 potential candidates, just behind 2/1 market leaders Coventry. Cardiff is rated as 3/1 second favourites but it is understood the Welsh capital is not planning to submit a bid. Other cities who have publicly said they will bid include Sunderland (8/1), Hereford (12/1) and Worcester (12/1). Ladbrokes have also listed Aberdeen (6/1), Plymouth (10/1), Milton Keynes (16/1) and Southend (20/1) although none have confirmed their intention to bid for 2021. Bids are due to be lodged in 2017 for the 2021 title, with the winner to be announced at the end of that year. The competition – run by the UK Government’s Department of Culture, Media and Sport, runs every four years, with Derry the first to hold the title in 2013, and Hull the next in 2017. Renfrewshire Council Leader Mark Macmillan reckons the news is proof of Paisley’s potential, saying: “We always knew Paisley had a good chance of winning – and these odds show we are being taken seriously. “The bookies would only open a market on this after extensive research into the candidate cities and how they measure up against the criteria – so it is encouraging to see that research has us near the top of the list. “Sometimes Paisley has suffered from negative perceptions and maybe it’s easy for residents to lose sight of what has been produced right here on our doorsteps. “But our contribution to the world has been massive for our size – such as the Paisley Pattern, our one-time home at the heart of the world’s textile industry, and the cultural achievements of famous buddies like Gerry Rafferty, John Byrne, David Tennant and Paolo Nutini and more. 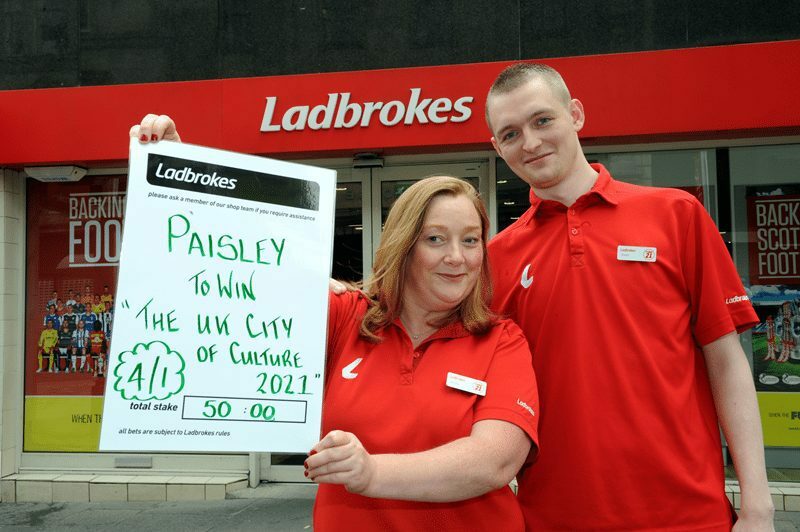 The Ladbrokes branch in Gilmour Street, Paisley, lent its support this week, offering Renfrewshire’s Provost Anne Hall a free £50 charity bet on Paisley winning the competition. Any winnings will be donated to Provost Hall’s charity fundraising campaign. 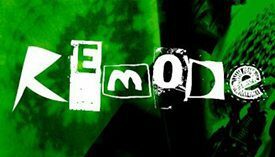 Ladbrokes spokesman Alex Donohue added: “We always price up the UK City of Culture market and for customers who like to bet on more obscure non-sporting competitions, this is one of their long-term favourites. “When we came to crunch the numbers we were well aware of the contribution Paisley has made, not just with the Paisley Pattern, and we firmly believe the town punches well above its weight – therefore it has a great chance and enters the reckoning as one of the favourites. As it stands, Paisley is the only Scottish city to have announced its candidacy and would be the first place in Scotland to hold the title if successful. The rules state the contest is open to large cities and urban areas, so Paisley is eligible to apply even though it does not have city status.